The world’s leading solution for product design in multiple industries. CATIA delivers the ability to model any product and to do so in the context of real-life behavior. Achieve aesthetic, performance, and logistical success by involving all areas of design and manufacture together within the holistic 3DEXPERIENCE platform. Instinctive design, for both experienced and occasional users with world-class 3D modeling and simulation capabilities that optimize the effectiveness of every user. A social environment built on a single source of truth and accessed through powerful 3D dashboards that drive business intelligence, real-time concurrent design and collaboration across all stakeholders – including mobile workers. Systems architects, engineers, designers and contributors can all define, imagine and shape their products with a holistic view of the entire process. From electronics to automotive and consumer packaged goods, design plays a critical part in determining a product’s success in the market. CATIA covers all product design needs with the tools to produce complex shapes for everything from industrial design to medical devices. As products and experiences continue to increase in complexity, performance and quality targets are becoming more demanding. Mechanical engineers equipped with CATIA 3D Modeling tools can gain insight into key factors of quality and performance early in the product development phase. Digital prototyping, combined with digital analysis and simulation, allows product development teams to create and analyze a mechanical product in a realistic virtual operating environment. As the number and complexity of embedded systems continues to grow, it becomes increasingly important to define, model, and simulate both individual systems, and their interaction with other systems. This is essential to detect unexpected system interactions during the validation and verification phases of the product development process. 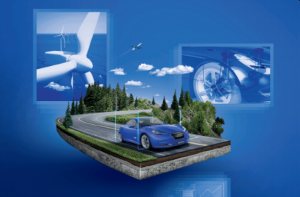 CATIA delivers a unique solution that fully enables and supports cross-discipline systems engineering development processes – from systems definition through to modeling, simulation, verification and business process management. Contact us today to purchase or learn more about how CATIA can enhance your design process.